Volunteers role-play assigned scenarios designed to give the officers almost real-life situations to respond to. In addition to serving as actors, our volunteers sometimes "loan" their homes and businesses to the SWAT team for more realistic situations. ACPAAA has a fingerprint booth at the annual KidSpree event in July. Children are fingerprinted and parents are given information on how to develop a profile on their child, and stranger danger tips. We have fingerprinted as many as 2,000 children in the two-day event. Volunteers who have indicated an interest in participating are randomly selected to serve on the DRB. To serve, citizens must have completed the CPA classes. Two volunteers attend each of the nightly classes to help set up the classroom, set out food for breaks and clean up afterwards. They are available to CPA staff and instructors to pass out hand-outs and do whatever else is needed. A volunteer summarizes the responses to the evaluations handed in at the end of each evening and e-mails to CPA staff. 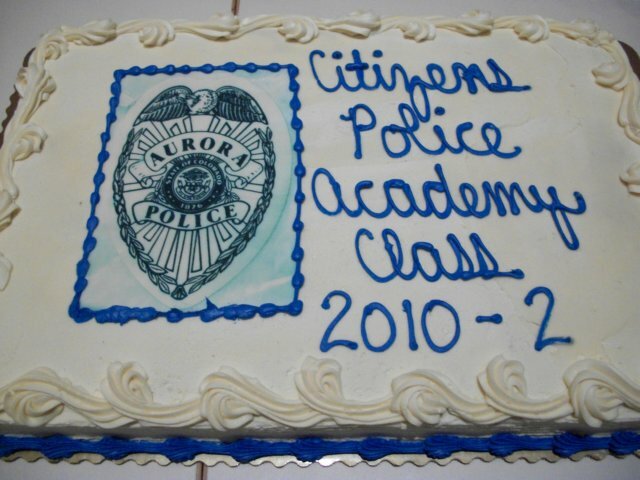 In addition, one to two people usually help to set up refreshments and cake for the graduating CPA class outside the Council Chambers. Approximately 100-125 volunteers are supplied each year for traffic control for this marathon. This event is usually staffed rain-or-shine so volunteers need to be prepared for possible bad weather. Volunteers help with traffic control for motorcades. As needed, volunteers who have been trained, help Special Operations with home security surveys. Typically two volunteers conduct the surveys, unless the decision is made to have a PAR Officer accompany them. The blanket project team sews one-time-use fleece blankets that are supplied to each patrol car and sergeant's car to be used to protect people when they are in accidents or need to be removed from the home. Blankets are also supplied to the Victim Services Unit when requested. Volunteers stand at assigned locations and record whether drivers or passengers in passing cars are wearing seat belts. Volunteers build and/or repair equipment on an as-needed basis. Volunteers support the Long Blue Line delivery of gifts to Children's Hospital by helping with traffic control. ACPAAA sponsored the organization previously with a $1,000 donation. A volunteer makes a flower arrangement for placement during the annual ceremony at Police Headquarters. Money was donated to Victim Services for preparation of backpacks to be given to children removed from homes where meth was being manufactured. Backpacks contained a change of clothing, a toy and other items. There is no longer a need for this service, so we have not provided it in recent years. The Aurora Police Department has sponsored two Community of Faith conferences. At the first, we conducted three classes on the CPA experience, and provided volunteers to move attendees between the various sites of the conference. At the second conference, our volunteers role-played scenarios so attendees could see police responses. Volunteers assist officers at approximately six DUI checkpoints each summer. 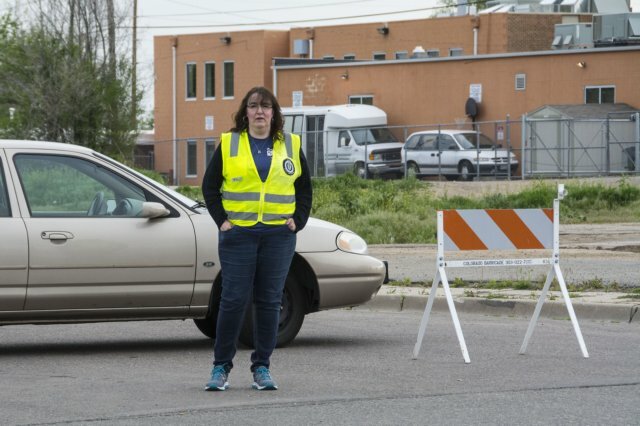 Volunteers track the number of cars passing through the checkpoint, the time it takes to go from beginning to end, weather conditions, and other data. Volunteers also assist with recording roadside sobriety tests. Volunteers are typically on the street from 9:00 pm to 3:00 am. Trained volunteers are on-call 24/7 for this activity, which requires training and ongoing refresher courses. There are two segments to CMART: tip-line and field search. The tip-line response team will be activated when information on missing children is published in the media with a number to call for those who have information on the missing child. Volunteers will man phones in the Chief's Conference Room, take reports, and turn information over to Officers for follow-up. The field search response team will respond to a specific location and help with the active search for the missing child. Volunteers provide traffic control for the annual toy run from the Sports Park to Children's Hospital. We recruit for volunteers through sign-up lists, email announcements, phone calls and our Committee/Volunteer/Project Interest Survey.